God Bless You, George G. Hunter, III! Our core problem is not one of structure, or even leadership, it is one of identity; we have forgotten who we are. The professionalism of the clergy class shifted our center from a laity movement and diminished our impact immensely. That our current obsession with tinkering will bring about any real change. If the Call, in its present form, is implemented at every level, the most optimistic possible outcome would still leave the shell of Methodism with some of the brain, more of the heart, and most of the vertebrae removed. We still would not represent a version of the faith that could change the world. Furthermore, the Call to Action largely ignores what a more apostolic Methodism used to be, and achieve, in this land… Contrary to what most of us in United Methodism assume we know, our net membership decline has not been primarily due to losing more people than we used to, but rather to reaching fewer people than we used to. Hunter claims that what we lack is creativity and imagination, and we claim things about ourselves that just aren’t true. We pretend to be open to all people, but Hunter points out that we choose who to include and who to exclude. There are millions of people on the fringe of society who need what the church has to give, but the church isn’t giving it. I had a recent encounter that illustrates the dilemma Hunter points out. I consulted with a church that proudly prints, “God’s love for all!” on its bulletins and newsletters. The “Open Hearts, Open Minds, Open Doors” banners bracket every entrance to the church. Walking a three block radius of the church, I encountered Vietnamese immigrants, multiple poor and homeless people, multi-racial youth, a couple younger people with handicapping conditions, and lower-economic/lower-educated people running shops along the street. I stopped many and asked what they could tell me about The United Methodist Church. None, I repeat none, of them knew anything about the church or anyone associated with the church. When I met with the leadership that evening, I asked them about the ministry opportunities they saw in their neighborhood. The chair of the church council quipped, “We need to attract the ones with money! We can’t support a church with those people.” One member went on to tell of a former pastor who tried to bring “those” people into the church — and the mass exodus it produced from the long-time members. An older woman remarked, “You can’t expect decent folks to put up with people like that taking over their church.” There was a time when such a sentiment would not have been found in a Methodist church — but that was a long time ago. 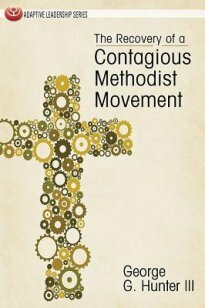 One of the most significant portions of Hunter’s book examines the impact of taking a lay movement and turning it into a clergy-based institution. It is little wonder that, when both authority and responsibility are removed from the majority within an organization, and all that is left is a sense of entitlement, that a movement will stall. I once made the observation that the only reason we speak of “lay empowerment” is because we worked so hard to disempower them in the first place. In any institution where it becomes the expectation that one class will empower another, you have a hierarchical systems prone to regular dysfunction. when power is the province of all who share responsibility, great things can happen. Our class, band and society structure — all clearly lay-based — were a model of equitable and fair sharing of power. Pastor-in-charge changed all that. The evidence of such thinking that has decayed our church to such deep levels is reflected in advice such as this, coming from Bob Farr’s, Renovate or Die: “The role of the pastor is to determine God’s vision for his or her church.” and “my true belief is that it sure would work better in the church if, when a new pastor arrives, everybody (paid and unpaid staff) had to resign. Then the pastor could go through a process of deciding who he or she wants on the team.” Such paternalistic abuses of power say a lot about why our church is where it is today. We have forgotten who we are. So, stop reading this, and go read George Hunter’s book. It is much better than anything you will find here. Thank you, George, for calling us to recovery, and telling it like it is. “The role of the pastor is to determine God’s vision for his or her church.” Oh, good! Now we don’t need those pesky church local conference annual meetings. Why were they mandated in the Discipline in the first place? Why the Discipline does not state the preeminence of the pastor, I do not know. And since corporate discernment is unnecessary, so to must be individual discernment. I’m glad I can rely on the priest to get me to heaven.